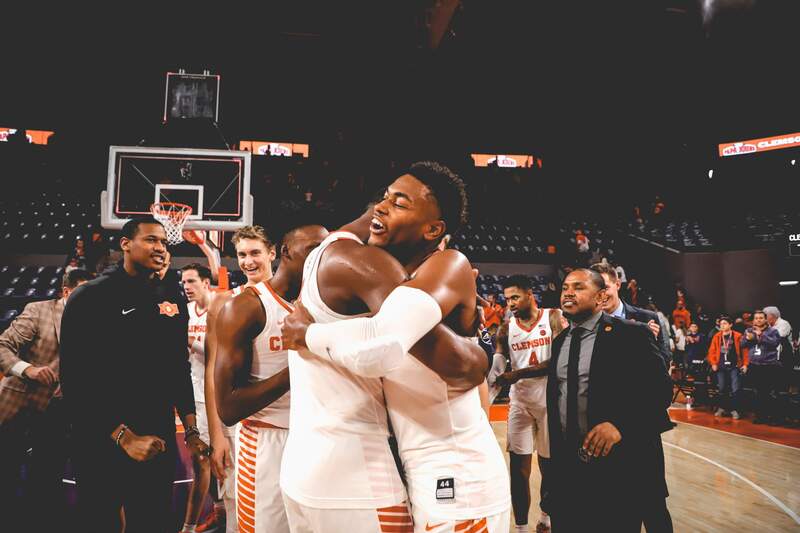 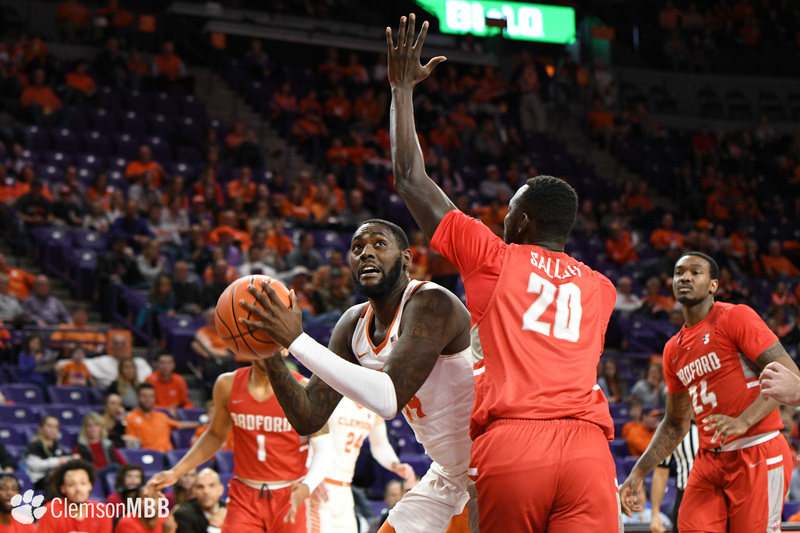 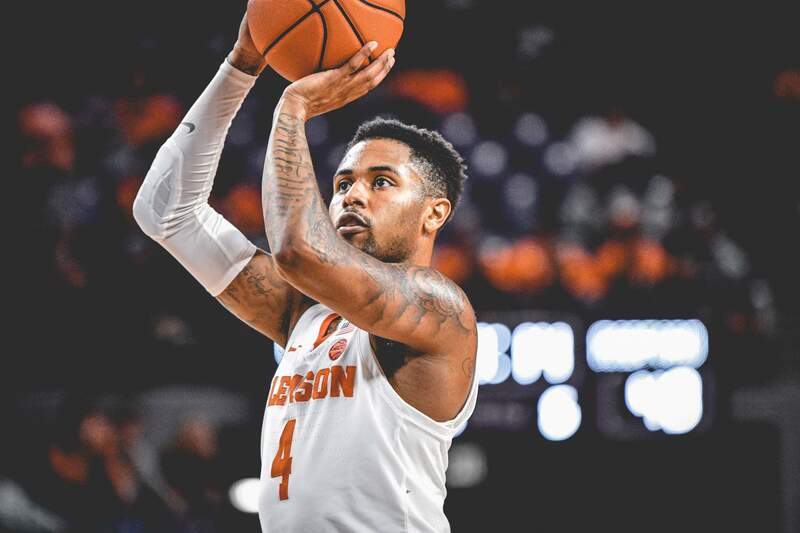 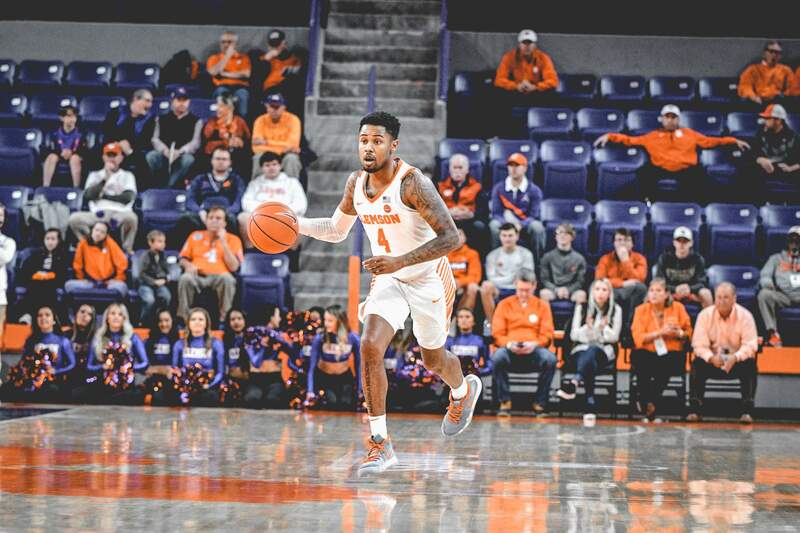 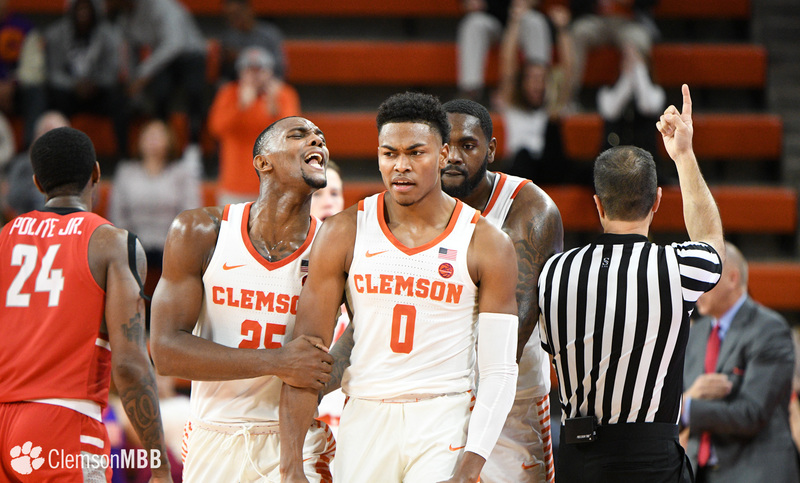 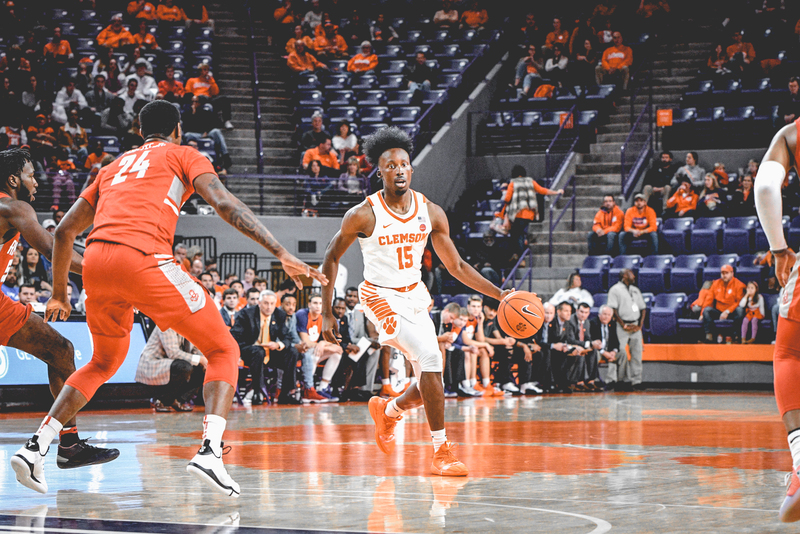 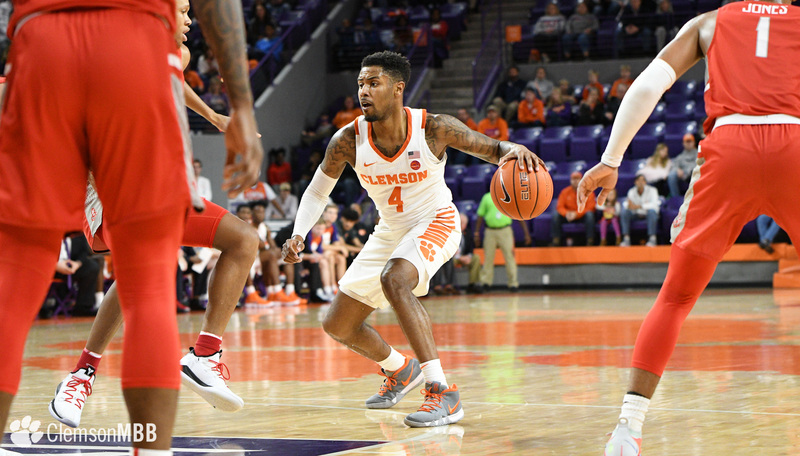 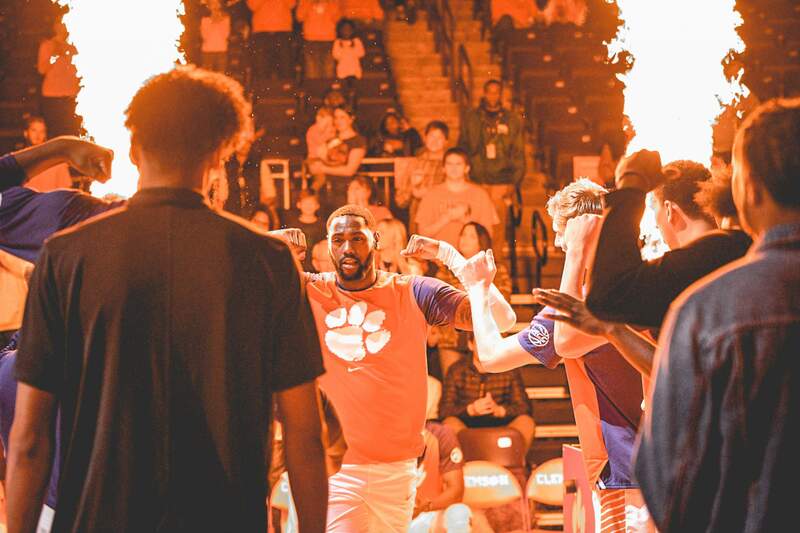 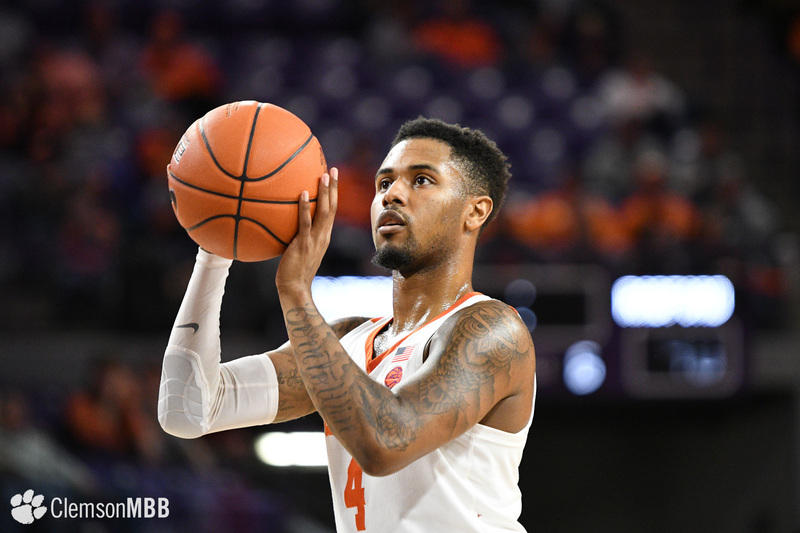 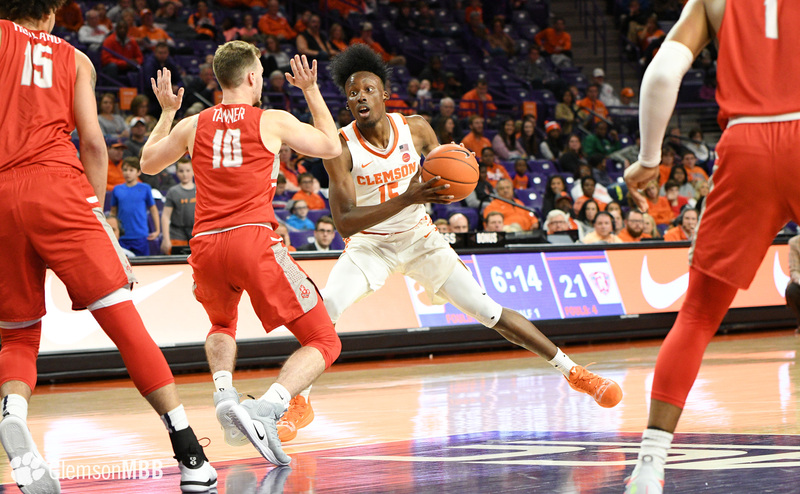 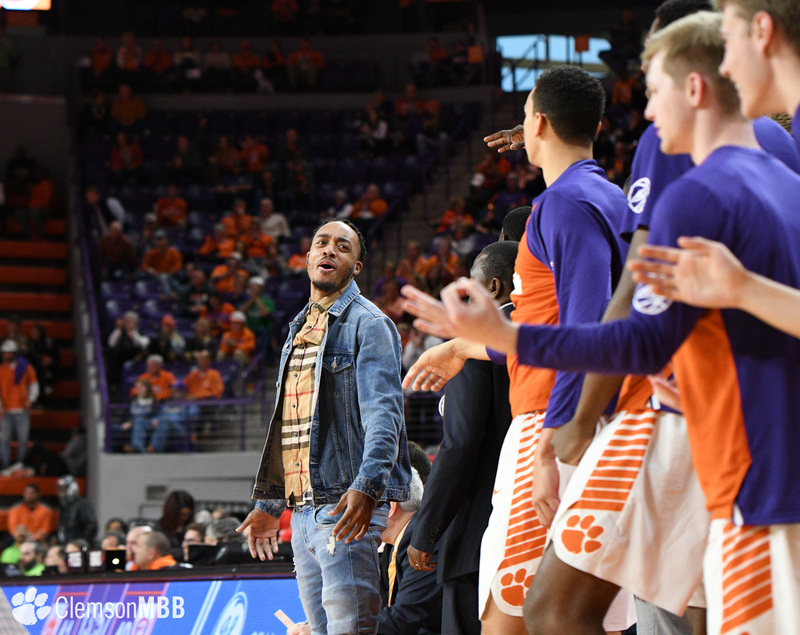 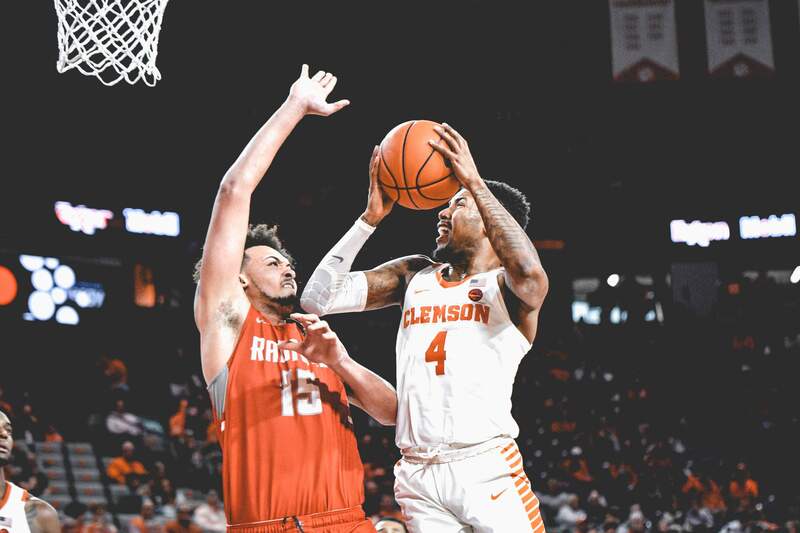 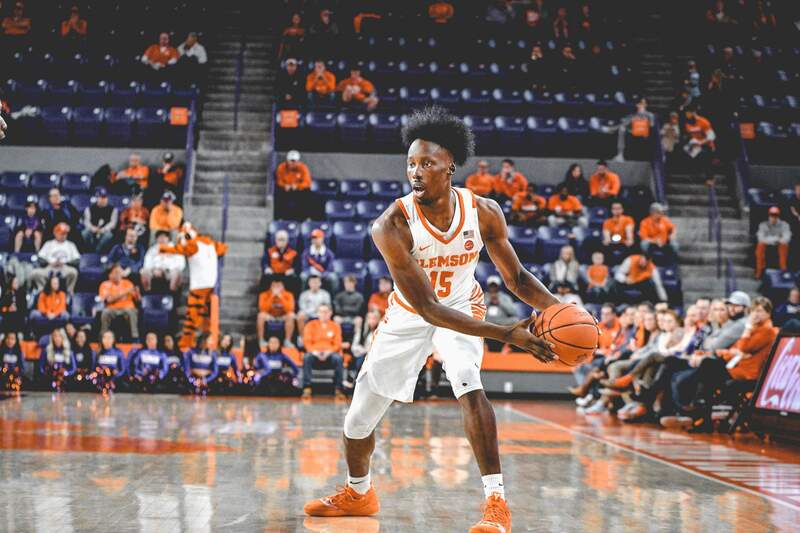 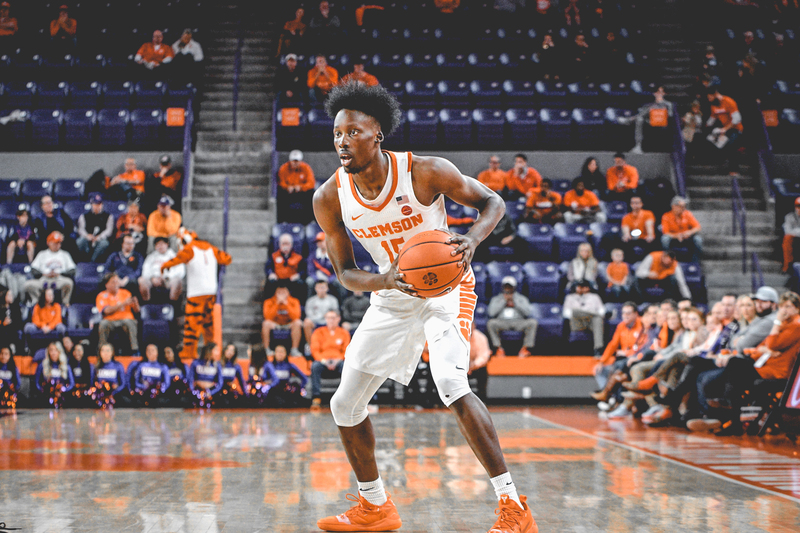 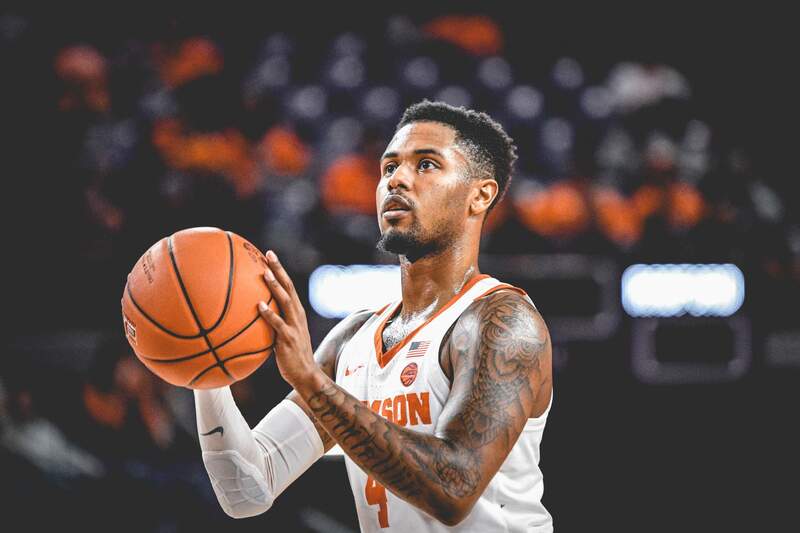 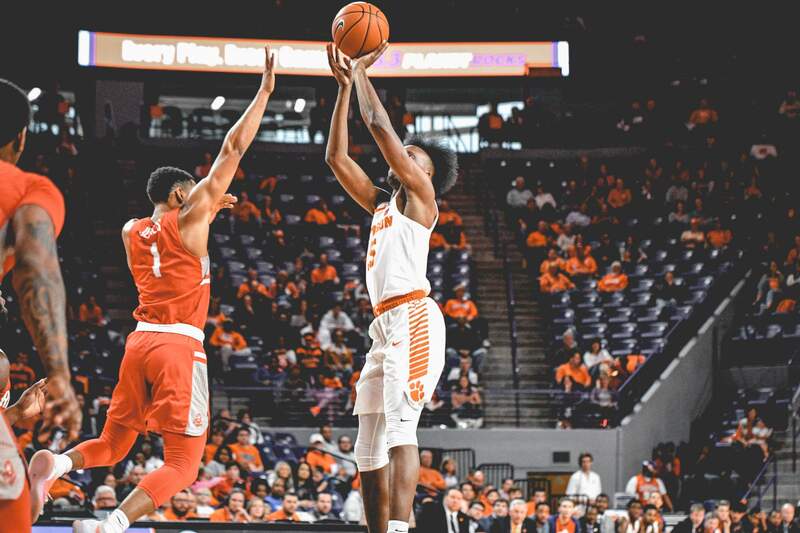 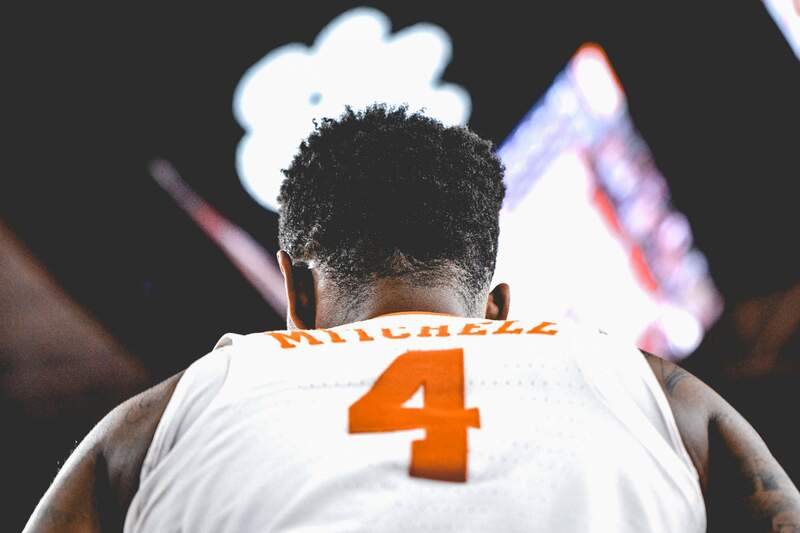 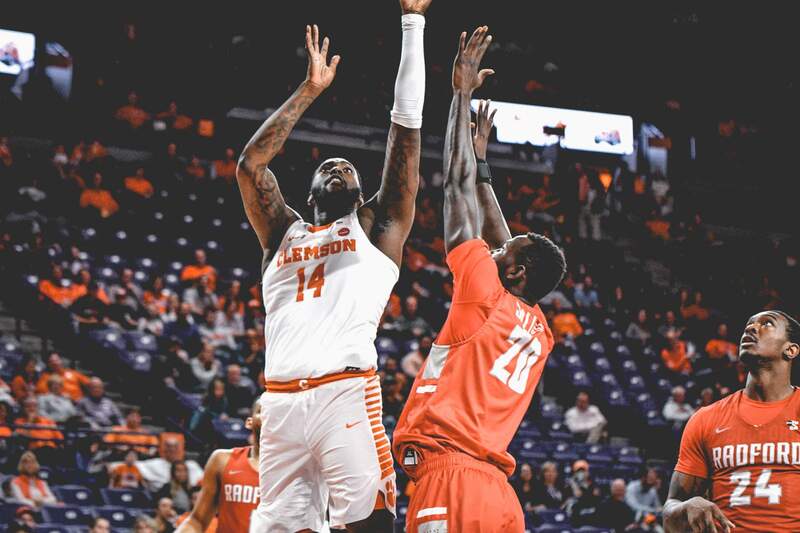 CLEMSON, S.C. — Four scored in double-figures, including Shelton Mitchell’s game-high 20 points as Clemson University men’s basketball pushed past Radford 74-66 on Saturday afternoon. 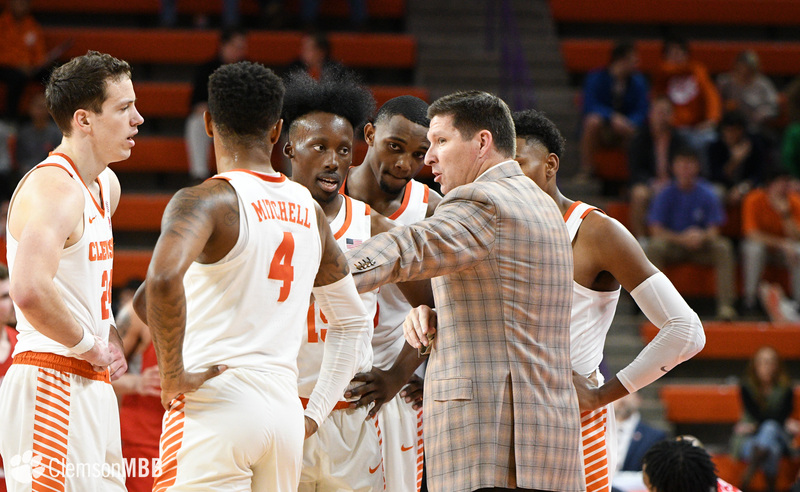 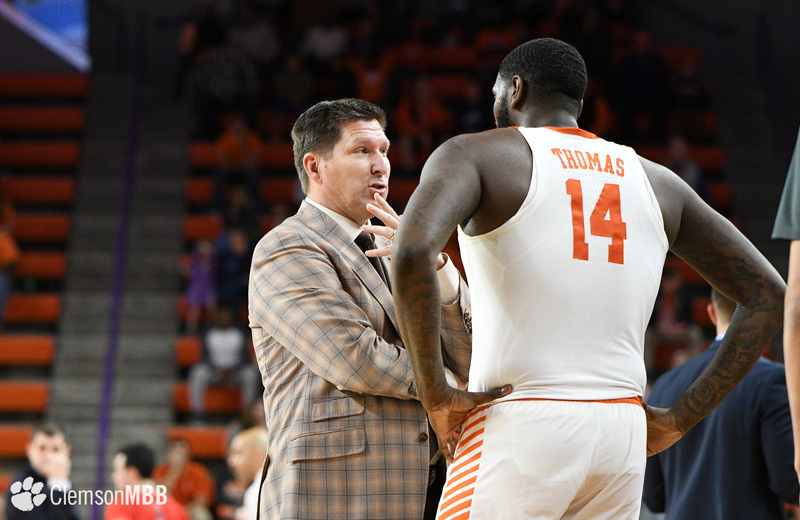 The win ties head coach Brad Brownell with Bill Foster for second all-time on the career victories list at Clemson with 156. 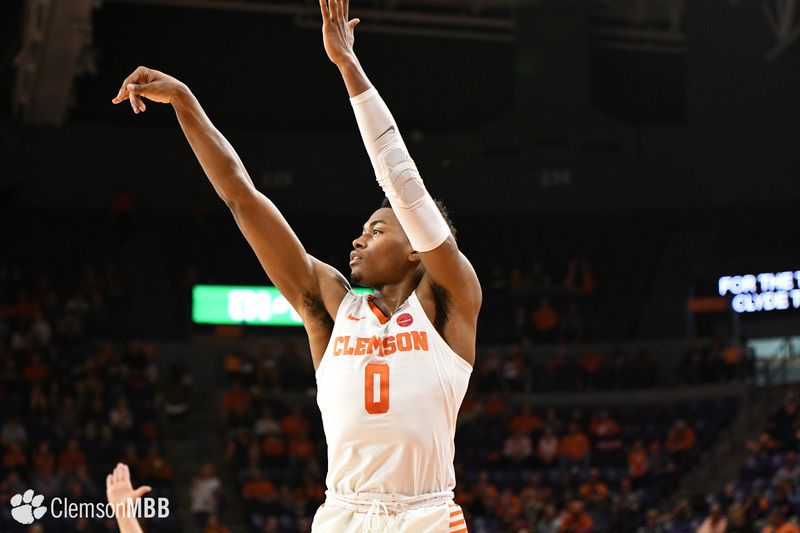 The Tigers (7-3) were led offensively by Mitchell’s 20 points – 15 of which came in the opening stanza. 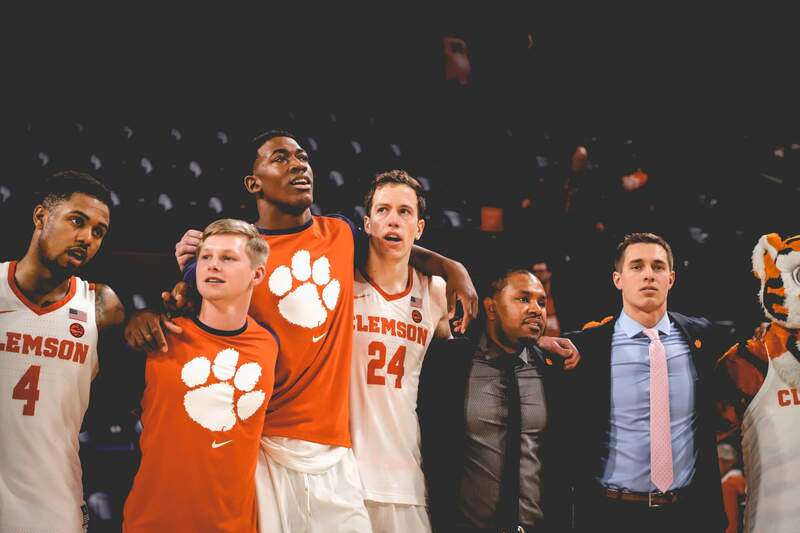 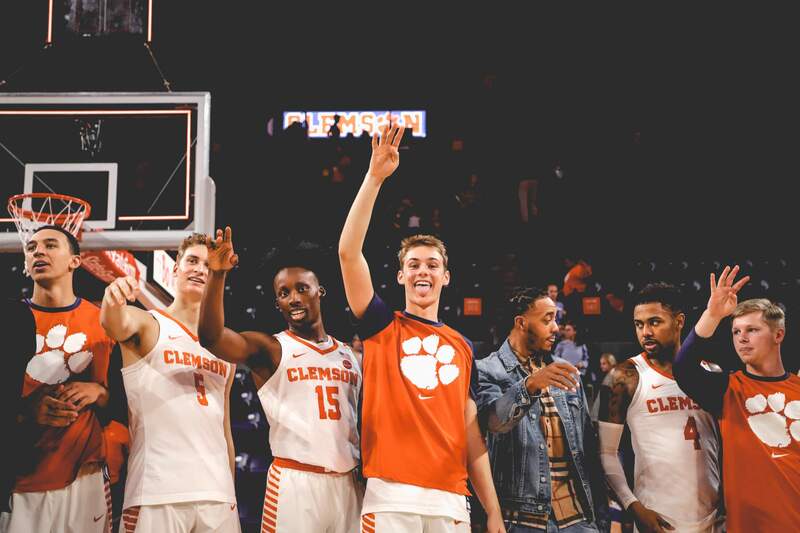 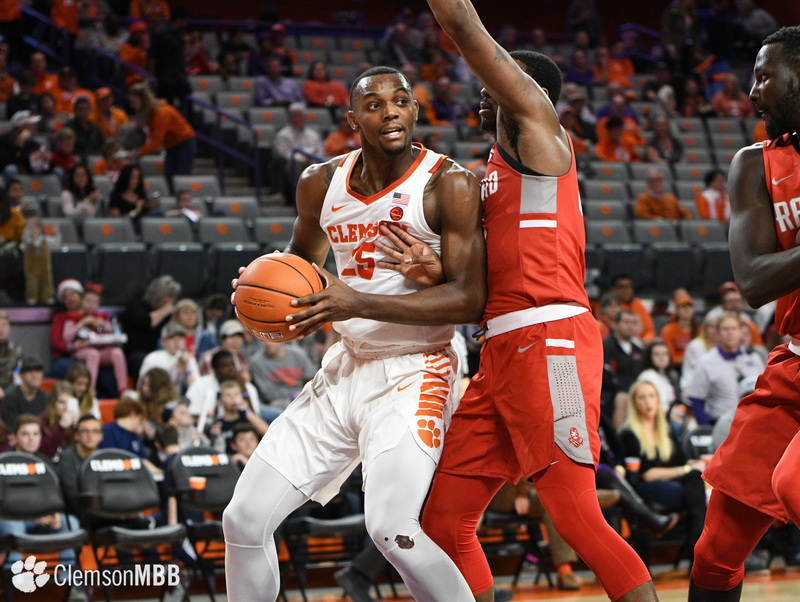 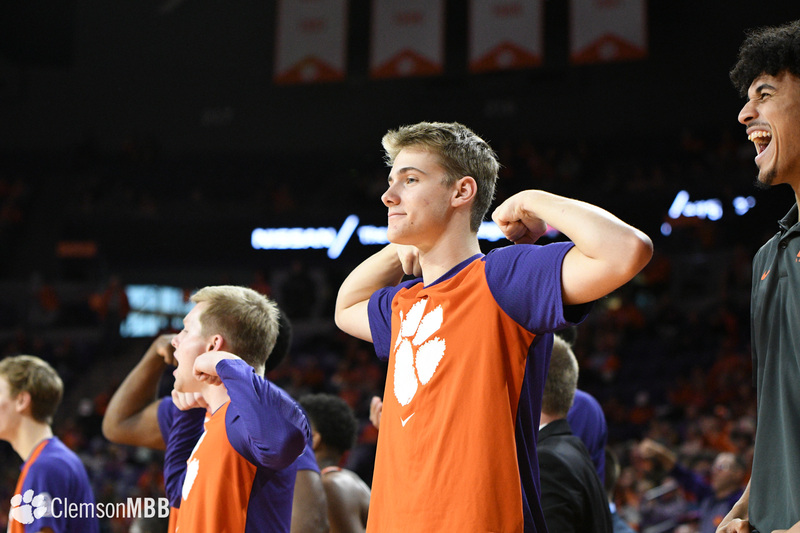 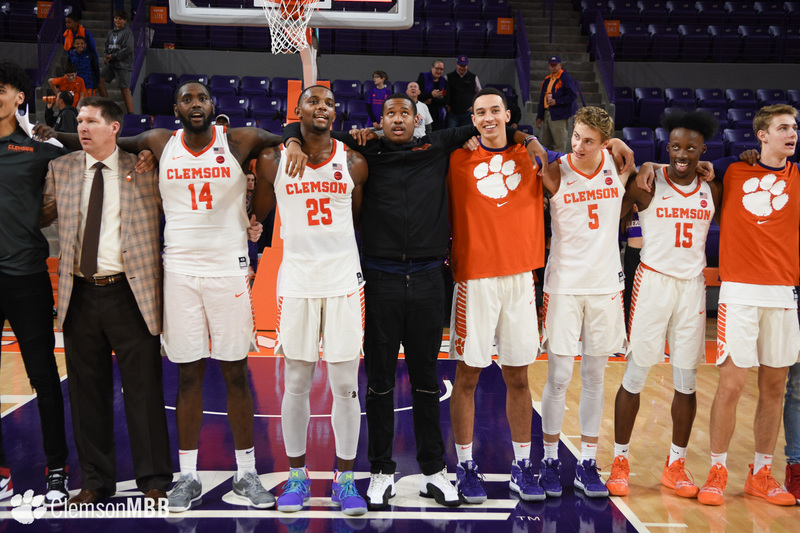 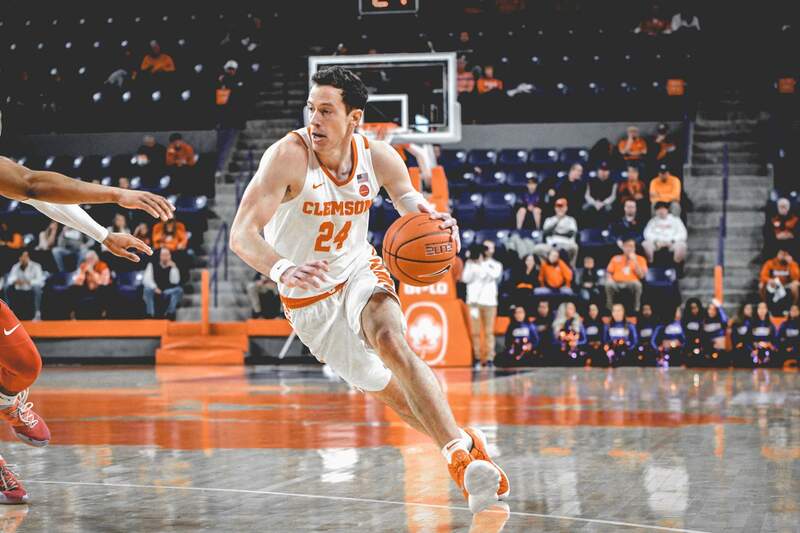 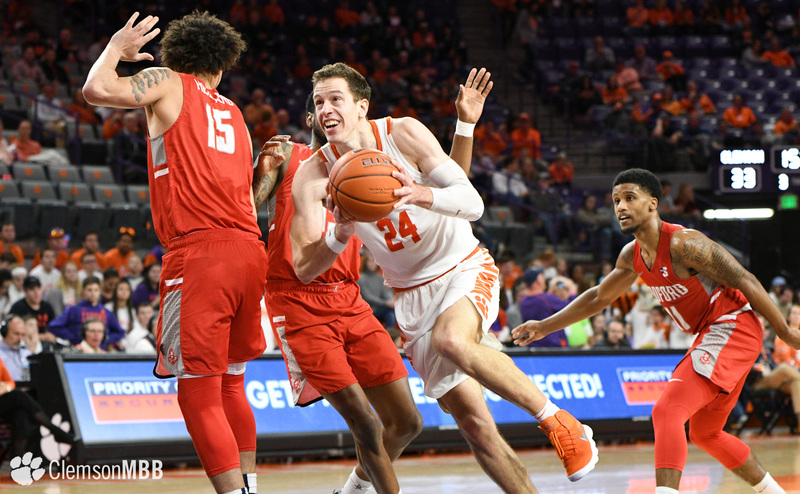 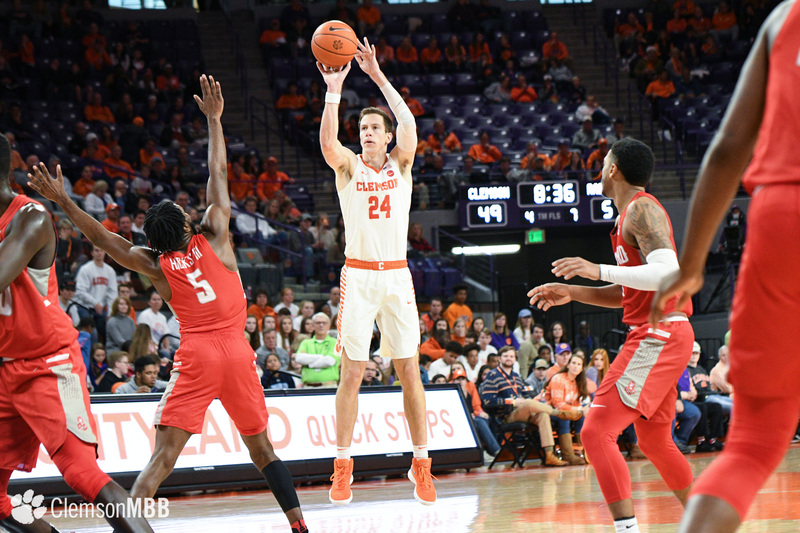 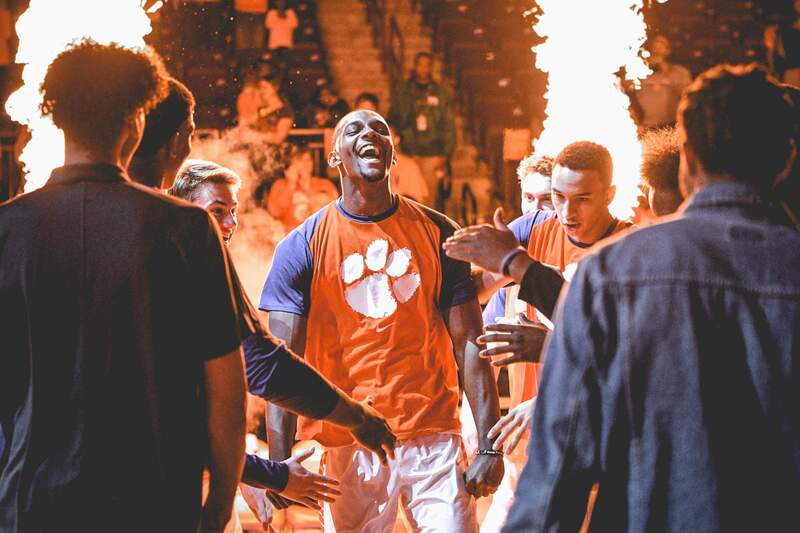 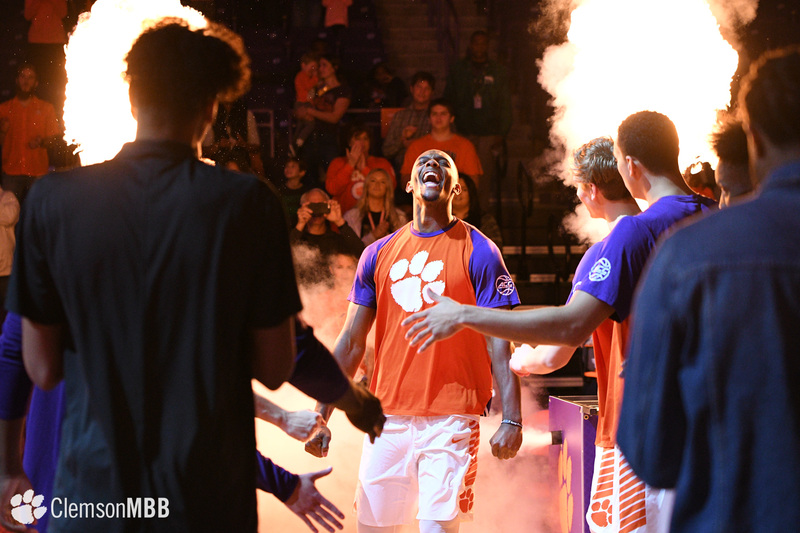 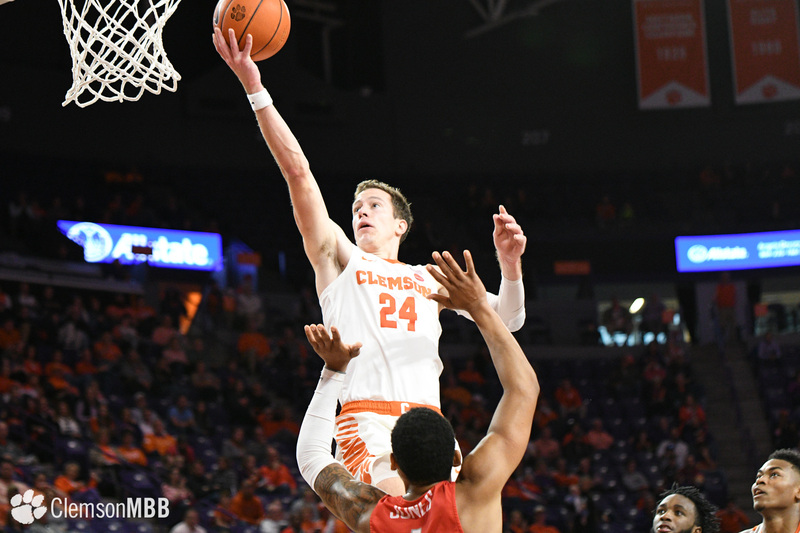 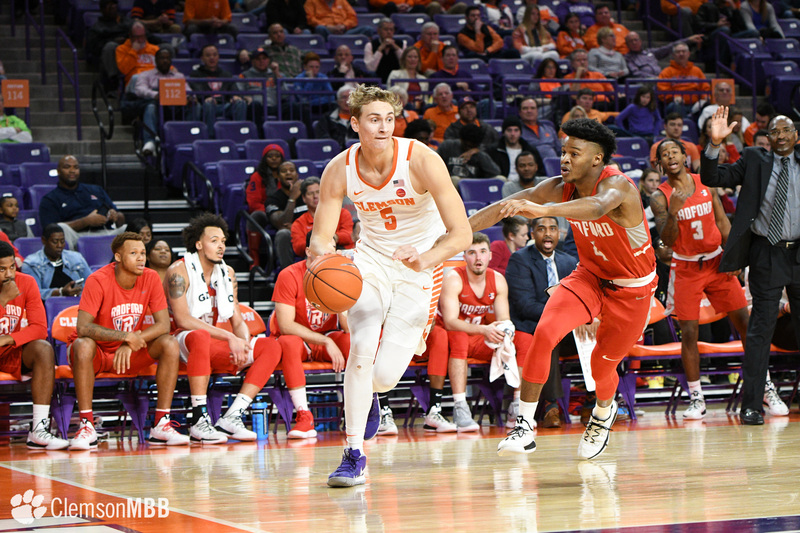 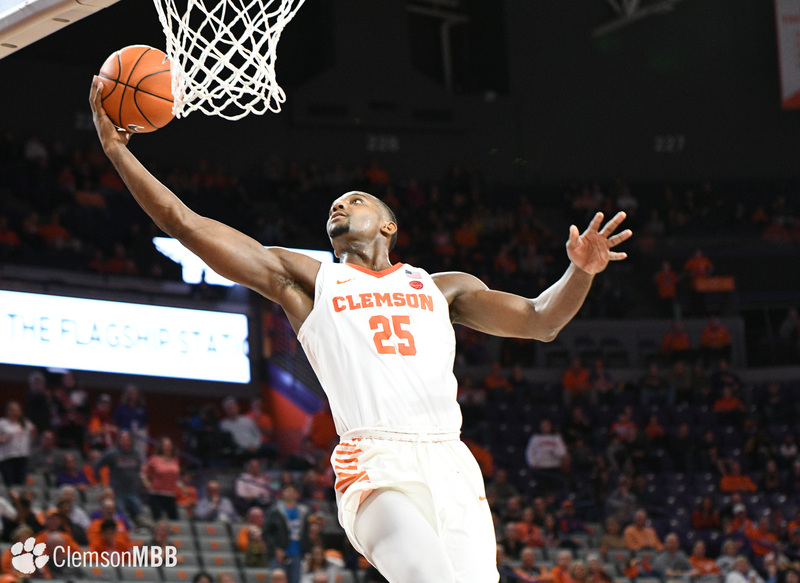 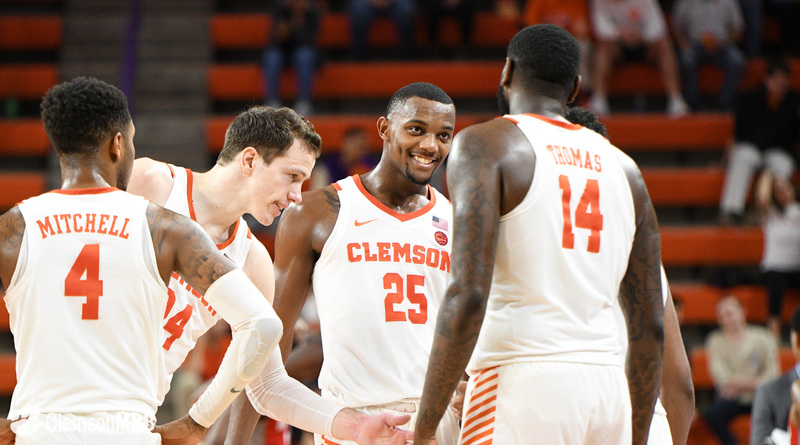 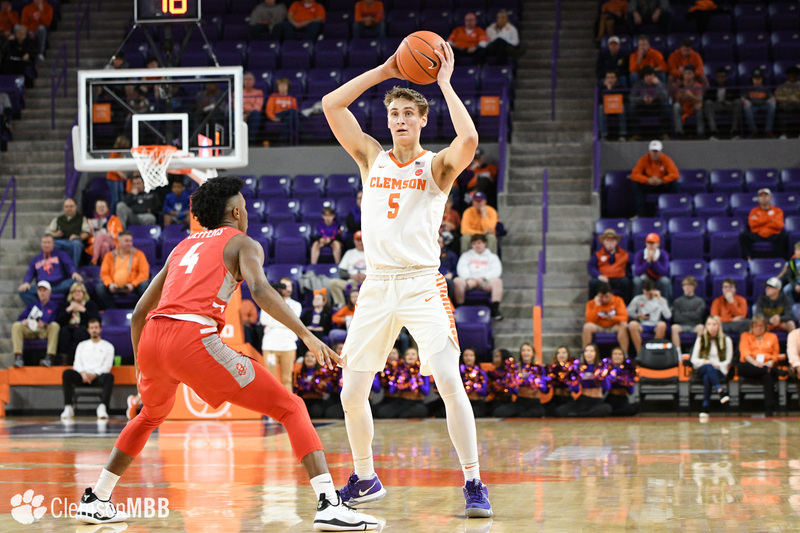 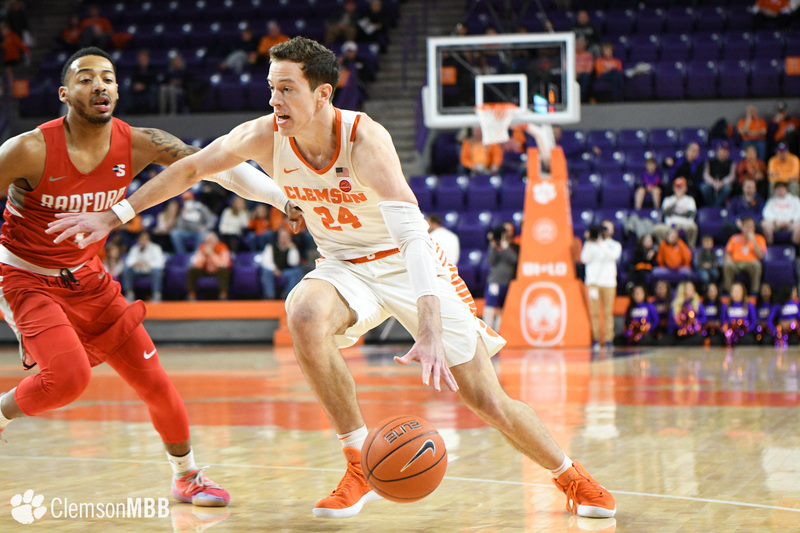 David Skara tied his career-high in a Clemson uniform with 16 points, while Elijah Thomas narrowly missed a double-double with 15 points and nine rebounds. 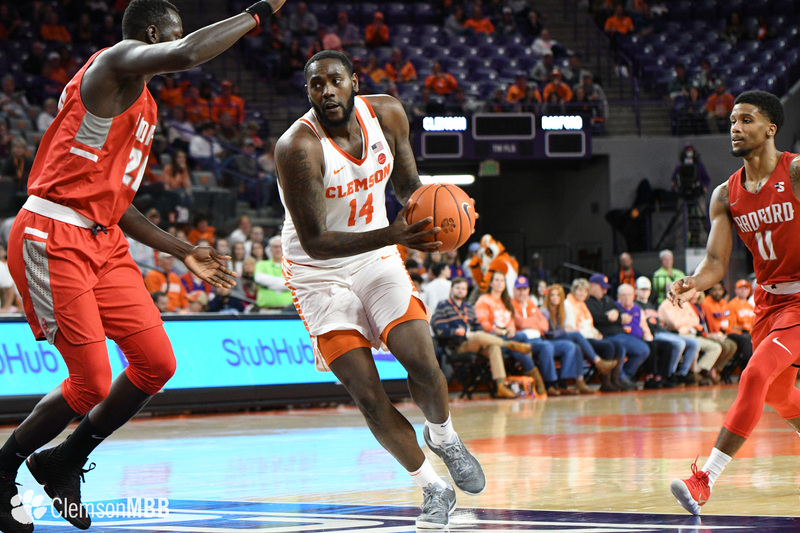 Clyde Trapp added his second double-figure scoring output of the season with 11 points. 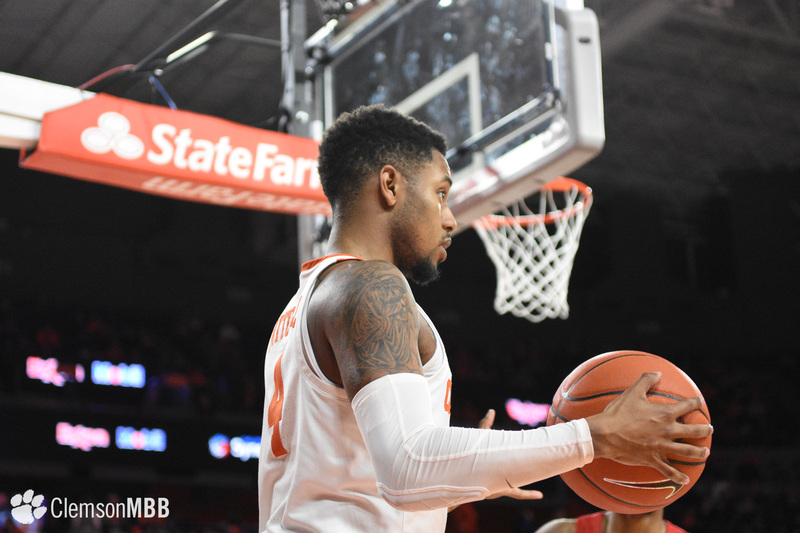 Trapp scored eight of his 11 points in the second half. 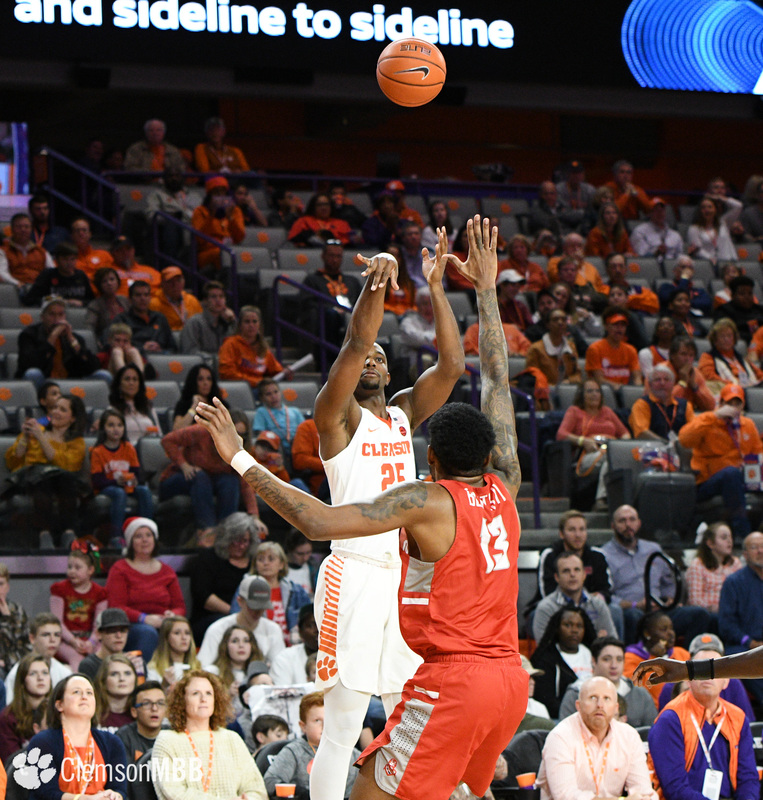 Clemson got out to a 6-0 lead to start the game – its largest lead of the opening half. 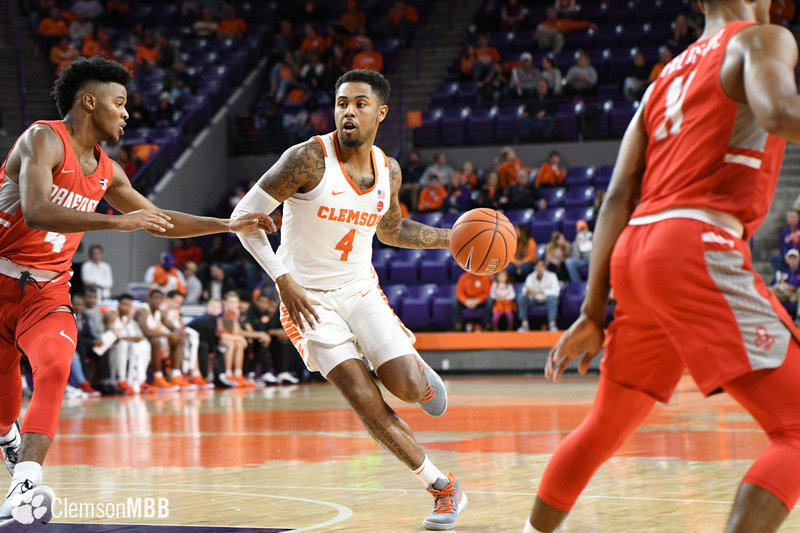 The Highlanders (6-4) and Tigers traded blows in the first period, but a late 3-pointer from Mitchell put the Tigers up by one heading into the break. 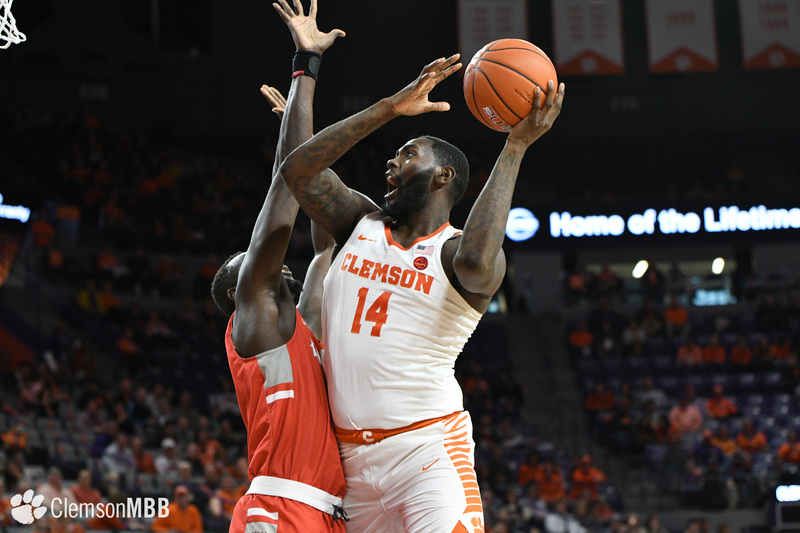 With Radford leading 40-33 and 15:29 remaining, the Tigers would go on a 8-0 run to take a 41-40 advantage. 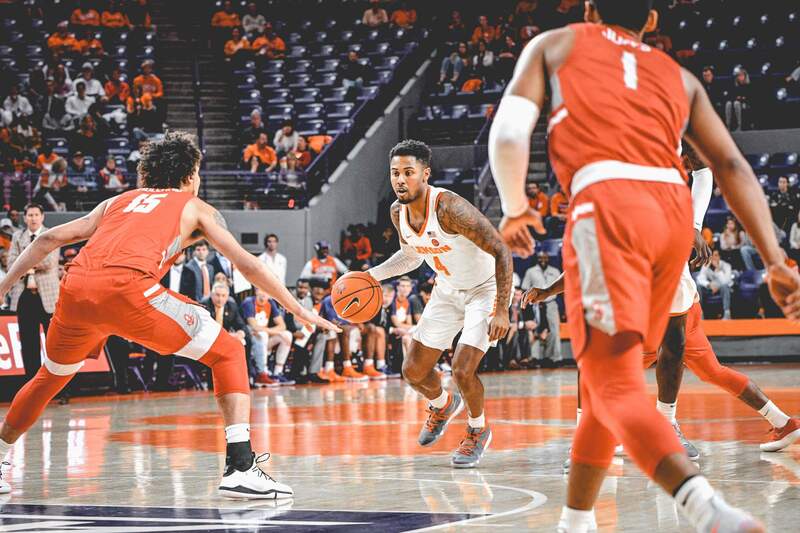 The run was keyed by a Skara layup, but Shelton Mitchell hit 3-of-4 at the line following a foul on the Highlanders’ Devonnte Holland which was followed up by a flagrant two foul – ejecting Holland from the contest. 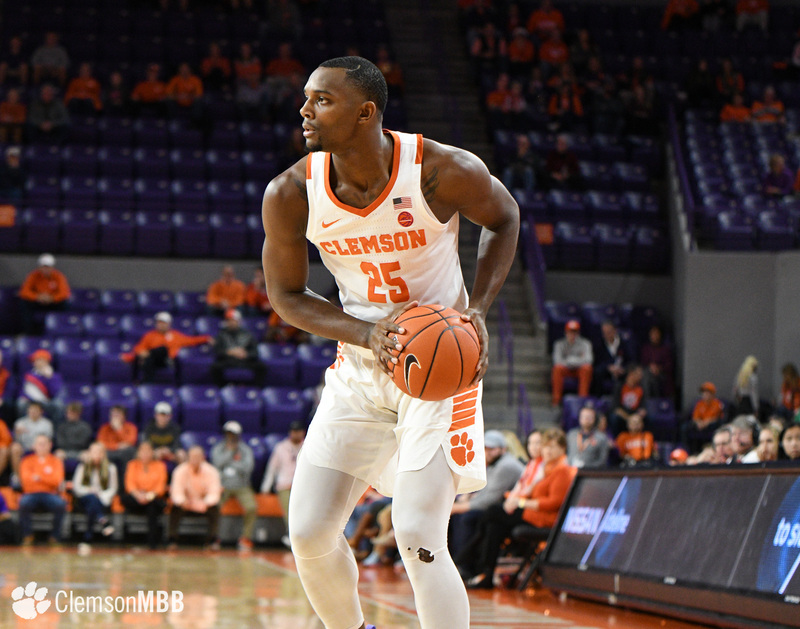 With possession of the ball, Aamir Simms drained a three to put the Tigers up on top with the six point possession. 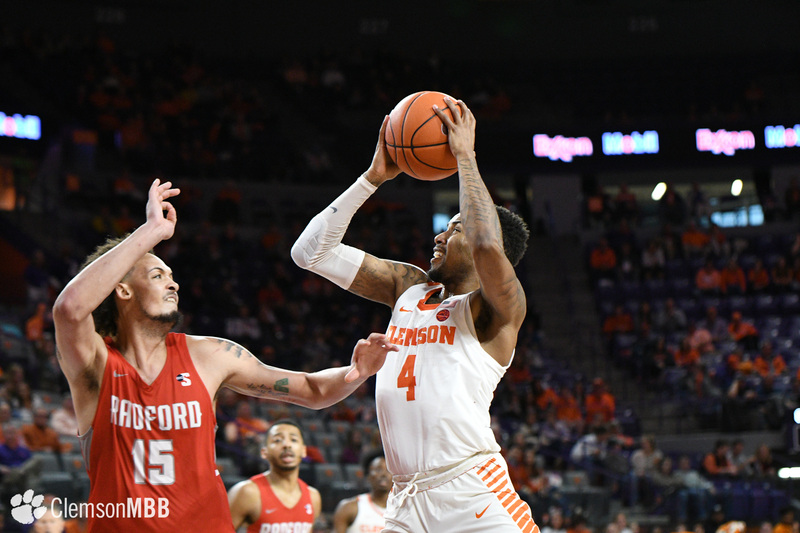 Radford battled back to take the lead, but with the scored tied 56-56, the Tigers finished the last six minutes of the contest outscoring the Highlanders 18-10 to hold on for the eight-point victory. 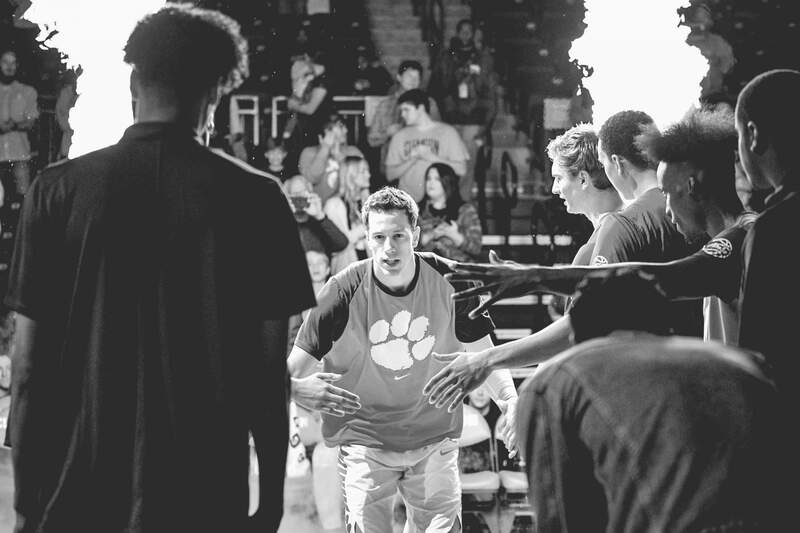 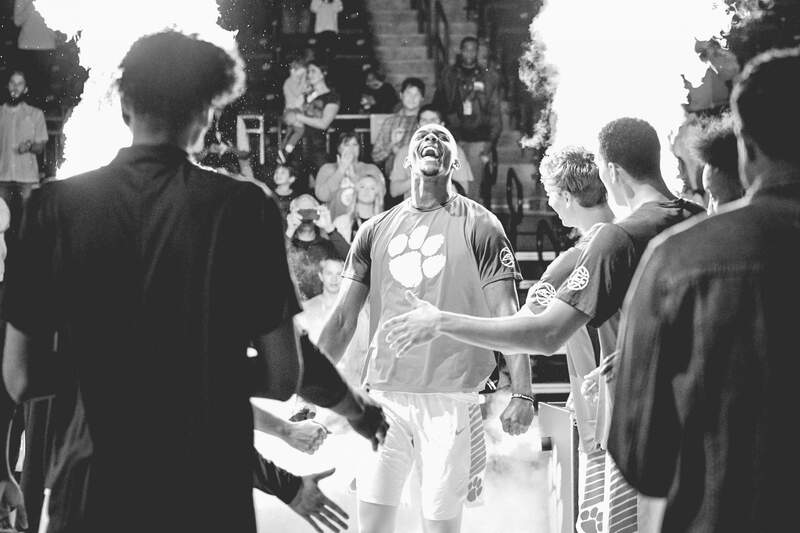 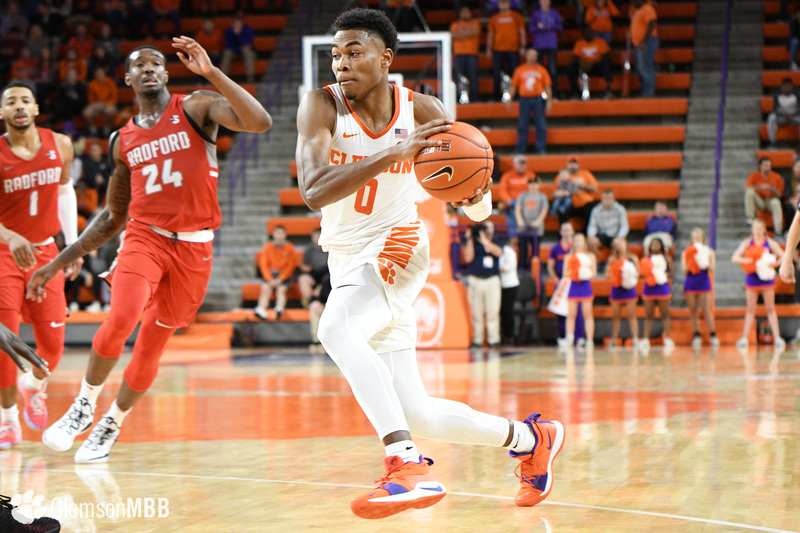 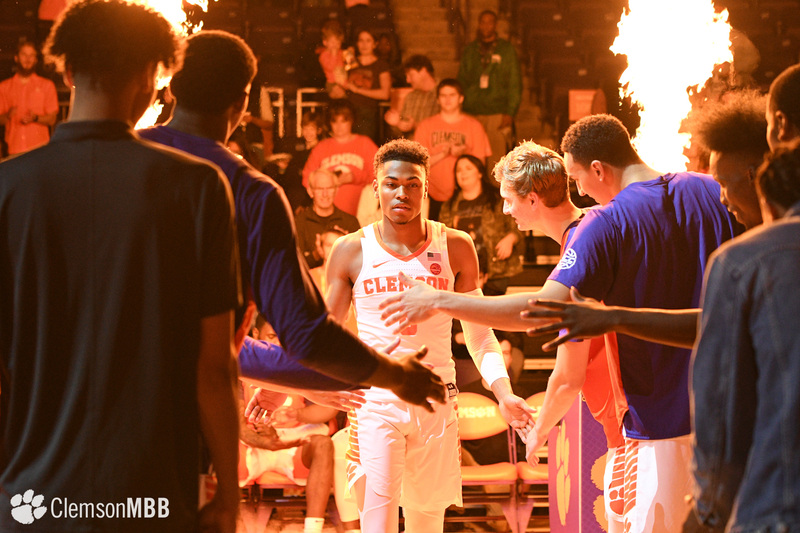 Clemson returns to its home floor on Tuesday, Dec. 18 when it hosts another Big South foe, Charleston Southern, at 7 p.m.
Notes: With the win, head coach Brad Brownell ties Bill Foster for second all-time in wins at Clemson (156) … Shelton Mitchell posted his second 20-point game of the season to lead the Tigers … Clemson moved to 6-2 this season when a Tiger scores at least 20 points … David Skara tied his season-high with 16 points – which also ties his career mark as a Clemson Tiger … Skara also tied his career mark for field goals made (6) … 14 offensive rebounds was a team-high this season for Clemson … Elijah Thomas eclipsed 700 career points in the contest (now has 710) … Thomas swatted one more shot this afternoon and now has 119 in his career as a Tiger (just seven away from cracking the all-time top 10 list).